The venue is located at the corner of 76th and Madison, and named after a guy named Ludwig Bemelman, so you know an over-the-top luxury, old-money New York atmosphere will greet you inside. 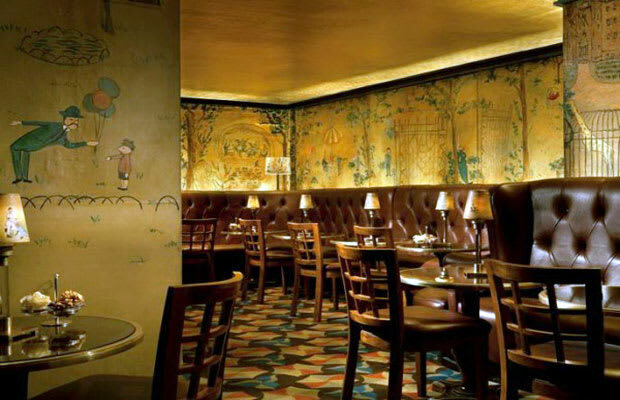 Take a few friends or a date (large groups might be a squeeze) to sit under the opulent gold-leafed ceiling, enjoy live jazz, and sip on classic, well-poured drinks while surrounded by Bemelman’s whimsical, hand-painted murals. While the dress code is strict during evenings, the service and experience make the extra fuss worth it. No one’s saying you have to wear an ascot, but don’t be surprised if some people inside are.